Intel’s Core i chips are a super-strong brand found on the majority of laptops, but how do you know what you’re actually buying? We bust Intel’s jargon. Around 80% of new PCs, and over 90% of laptops, have Intel processors. 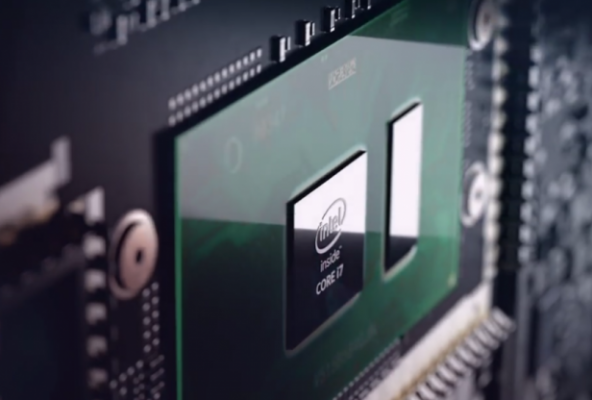 This means that if you’re in the market for a new computer, you’ll most likely be considering an Intel-powered model. Finding the right chip is hard. Intel’s processor ecosystem is strewn with confusing model numbers that actually tell you a lot about the processor you’re about to buy, albeit only if you know what you’re actually looking for. Intel’s branding doesn’t make it particularly easy for you to choose: it’s not at all obvious what the difference between a Core i3, Core i5 or Core i7 processor is, apart from an ever-increasing amount of cash removed from your wallet. WHICH PROCESSOR SHOULD YOU CHOOSE? Intel’s current Core-branded processors, which are found in the majority of desktops and laptops, are split into three ranges, with several models in each range. These ranges are called Core i3 (or Core m3), Core i5 and Core i7, but the differences between the ranges aren’t the same on laptop chips as on desktop. We’ll explain the difference between laptop chips at the bottom of this article. The desktop chips follow a more logical pattern, so we’ll cover them first. Many of the concepts and technologies we discuss, such as number of cores, cache, Turbo Boost and Hyper-Threading, are common across both desktop and laptop. For this reason, even if you’re only considering buying a laptop, you should still read the desktop section before moving onto the laptop part of the article. In many ways, the desktop processors in the Core i3, i5 and i7 ranges are very similar to each other. All are based on the same key processor architecture (codenamed Kaby Lake for the latest generation), have the same instruction sets (the code that actually tells the processor what to do), fit in the same socket and have broadly similar graphics chipsets. Despite their underlying similarities, there are some key differences that can drastically affect each model’s performance. First, have a look at the table below to see how the ranges compare. We’ll explain what the terms mean later in the article. The first thing you’ll notice from the table is that Core i5 and i7 processors have four cores, while Core i3 models only have two. Out of all the differences between the Intel processor ranges, this is the one that will affect performance the most. Each core is effectively its own processor – your PC would still work (slowly) with just one core enabled. Having multiple cores means that the computer can work on more than one task at a time more efficiently, which will help keep your system running snappily even if you have tasks, such as an antivirus scan or video render, running in the background. Having several cores can also drastically increase the speed at which certain programs run. This doesn’t apply to all applications, as creating software that takes advantage of multiple cores is difficult. While two cores are now the accepted minimum in a processor, if you generally only tend to have a handful of tabs open in a web browser and your most demanding application is a word processor, you won’t see a huge benefit from a quad-core chip. However, modern games benefit from quad-core chips as does video encoding. As an example, in the Geekbench benchmark, which runs several tests optimised for single-core and for multi-core processing, the quad-core Intel Core i7-3770K machine being used to write this article scored 3,422 in the single-core benchmark and 13,401 in multi-core. With two cores disabled, the score was almost identical in single-core, but dropped to 7,541 in the multi-core test. The maths add up: halve the cores, (nearly) halve the multi-core performance. The next item that may catch your eye is that the slowest Core i3 chips run at a faster speed than the base Core i5 and Core i7 models. This illustrates the perils of making a buying decision based purely on clock speed. Enter Turbo Boost. Primer: what is clock speed? The GHz figure you’ll see represents the number of clock cycles (calculations) a processor can manage in a second. Put very simply, a bigger number means a faster processor. For example, 3.6GHz means 3,600,000,000 clock cycles. This figure should never be used to compare processors from different families, generations or manufacturers, however. Bigger is not better when comparing AMD and Intel, or 2nd-gen to 7th-gen Intel processors: different processor families have different levels of efficiency, so how much they get done with each clock cycle is more important than the GHz number itself. Turbo Boost dynamically increases the clock speed of Core i5 and i7 processors when more power is required. This means that the chip can draw less power, produce less heat (most of the time) and only boost when it needs to. Turbo Boost means that the clock frequency figures in the table above are misleading. For example, although a Core i3-7300 runs at 4GHz compared to 3.5GHz for the Core i5-7600, the i5 chip can boost up to 4.1GHz when required, so will end up being quicker. The more a processor boosts its clock speed, the more heat it will produce, so the processors can only Turbo Boost for a limited time while they remain within a certain temperature range. During long periods of heavy processor activity using all a processor’s cores, such as video encoding, a chip may not Turbo Boost much at all as it might be too hot to do so safely. Turbo Boost is a significant part of the reason Core i5 and Core i7 processors outperform Core i3 models in single-core-optimised tasks, even though they have lower base clock speeds. Next up is possibly the most confusing part of the spec sheet: Hyper-Threading. Confusing to explain as a concept, but also confusing as it’s available on the top-end Core i7 and low-end Core i3 chips, but not the mid-range Core i5. Normally you’d expect to see more features added as you go up the processor range, but not here. Hyper-Threading essentially tricks Windows into thinking that each physical processor core is in fact two virtual (logical) cores. The operating system can then share processing tasks between these virtual cores in order to help certain applications run more quickly, and to maintain system performance when more than one application is running at once. A two-core Core i3 processor will appear as four virtual cores in Windows’ Task Manager, and a four-core i7 chip will appear as eight cores. On both our quad-core and a dual-core test system, Hyper-Threading increased the GeekBench 3 multi-core test score by 17%. Not double the speed, but a useful boost nonetheless. This performance increase will vary by program; some software is much better at handling lots of threads. It’s odd that the Core i5 chip misses out on this useful speed-boosting technology, especially as it’s present on the cheaper Core i3 models, so wouldn’t appear to add anything to the cost of manufacturing a processor. It’s possible Hyper-Threading is simply disabled on these models in order to give you a reason to buy a chip from the more expensive Core i7 range. Finally, we come to processor cache. This is a small section of memory built into the processor that stores copies of data present in the main system RAM. It takes much less time for a processor to grab data from this cache, so the time it takes to process that data is reduced. A larger cache means the chip will need to grab data from the PC’s slower RAM less frequently, leading to faster performance. Only one Core i3 chip (the low-end Core i3-7100) has 3MB cache, while all the rest have 4MB. All Core i5 processors have 6MB and Core i7s get 8MB. 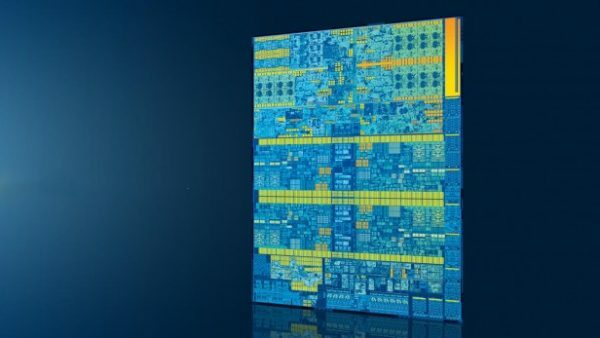 Ultra-high-end Core i7 Extreme processors get even more. As the Core i7 chips also have Hyper-Threading, it’s hard to test how much of their extra performance over i5 models is down to the extra cache. Cache shouldn’t be as much of a factor in your buying decision as the other aspects we have discussed, but be assured that even the lowest Core i3 models have the same amount of cache per core as the Core i5s, so none of the processor ranges are crippled in this regard. Some Intel desktop chips have suffixes, such as K, T or P. These special models have different characteristics than the stock versions. K denotes an unlocked clock multiplier, so if you have a compatible motherboard you can easily overclock the chip, raising its clock speed significantly for a serious speed increase. Overclocking can cause system instability and even damage your components, so should be approached with caution. An overclocked processor will generate an awful lot of heat, so you’ll also need a decent third-party processor cooler to see any kind of decent stable overclock. There are three desktop Kaby Lake ‘K’ processors: the Core i7-7700K, Core i5-7600K and Core i3-7350K. Bear in mind that these also use more power than non-K chips, even before overclocking. The Core i3-7350K has a 60W power rating compared to 51W for a normal Core i3, and the Core i5 and i7 processors are rated at 91W instead of 65W. T-suffix processors have lower clock speeds but also lower power requirements, and so are better for the planet and easier to keep cool. An example is the Core i5-7600T, which is clocked 700MHz slower than the i5-7600 but has a 35W rather than 65W power draw. You’ll typically find these inside smaller form-factor PCs such as all-in-ones. All desktop Core i3, Core i5 and Core i7 processors have the same Intel HD 630 graphics chipset, but clock speeds vary between 1,000MHz and 1,150MHz. The graphics will likely be good enough for e-sports titles such as Overwatch at lower detail levels, but for any kind of serious gaming you should fit a discrete graphics card (see below). If you’re going to play games at any kind of decent detail level, you should certainly buy a dedicated graphics card, but the choice of processor will also make a difference. You don’t want your enthusiast GPU to be hobbled by a slow CPU, after all. You don’t need to go overboard, though. For example, you usually won’t gain much by choosing a Core i7 chip over a Core i5, as Hyper-Threading makes little difference in most games. Even complicated titles such as Battlefield 4 only really take advantage of four cores, so the extra four virtual cores Hyper-Threading provides won’t be much use. There are exceptions, though. The latest Total War games appear to benefit from a Core i7’s power due to the sheer number of units interacting with each other on the battlefield. If you’re buying a desktop processor to play games, and aren’t into hugely epic strategy titles, we say get a quad-core Core i5, and preferably the top-spec Core i5-7600K. If you ever find this processor is holding you back, you can always overclock it well beyond 4GHz. You should now be armed with enough information to make a proper choice about what sort of processor you need. We haven’t yet reviewed the full line of the latest Kaby Lake processors. The previous generation of Skylake chips is very similar, however, so we’ll refer to them here until we’ve had the full set under the microscope. Coming in at under £100, the i3-6100 is a great chip for low-end desktop builds that will mainly be used for word processing and web browsing work. It’s capable of some decent single-core performances, too. The Kaby Lake version will be called the i3-7100. Rather more expensive at around £200, the i5-6600K is a great all-arounder that’s ripe for overclocking, which makes it an excellent choice for gamers building a custom rig. It doesn’t ship with a cooler, though, and if you’re going to be overclocking you’ll want to buy a fairly serious piece of kit to keep temperatures low. If you’re not looking to overclock and want something a bit cheaper, the i5-6400 is a great alternative and comes with a cooler. The Kaby Lake version of these chips are called i5-7600K and i5-7400. 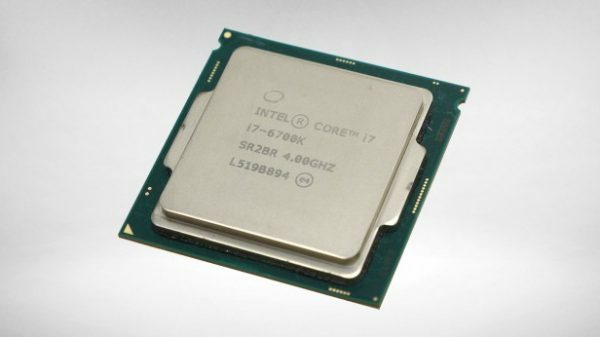 The big daddy of Intel’s Skylake line, the i7-6700K is a great processor for those who have high-end multimedia workloads (such as game streaming and video editing), or who just want to show off. It has overclocking ability, and you’ll need to buy a separate cooler for it. As discussed above, if you’re going to just be gaming, a Core i5 is a much better value bet. The Kaby Lake version of this chip is called the i7-7700K, which we have reviewed. The advantages of multiple cores, Turbo Boost, Hyper-Threading and a larger cache are the same for laptop as for desktop processors, so for details see the Desktop Processors page of this article. The first item to discuss is the new Y-Series processor range. This contains chips branded Core m3, Core i5 and Core i7, but the m3-7Y30, i5-7Y54, i5-7Y57 and i7-7Y75 actually replace Intel’s Core M processors, which are almost exclusively found in laptops with fanless designs. This is confusing, as laptop buyers looking at specification sheets will see Core i7 processors with clock speeds as low as 1.3GHz all the way up to 3.5GHz, making it hard to tell if you’re buying a processing powerhouse or a lightweight web browsing machine for road warriors. The key thing to look out for is the Y in the processor model name. For example, the Intel Core i7-7Y75 is a dual-core chip with a base clock speed of 1.3GHz. If the laptop you’re looking at has one of these chips, it won’t be quick, but its 4.5W power rating means it will certainly stay cool and last a long time on battery power. Let’s start with the easy stuff. All Core i3 chips have two cores, and none have Turbo Boost to increase their clock speed dynamically (the ultra-low-power ‘Y-Series’ Core m3 does have Turbo Boost, however). All laptop Core i3 chips have Hyper-Threading, so your operating system will see two physical and two virtual processor cores for a performance boost in certain situations. Meanwhile, all Core i5 and Core i7 chips have Turbo Boost. It then starts to get confusing. Some Core i5 and some Core i7 processors have two rather than four cores. Hyper-threading is present on all Core i7 chips but only on twin-core i5 models. Finally, all Core i3 chips have 3MB cache, some twin-core i5 chips have 3MB and some have 4MB, while i7s have 4MB, 6MB or 8MB. Frankly, it’s a mess, and that’s before we get into graphics chipsets (below). To make a buying decision, you’re first going to have to go through a process of elimination. First, decide if a Core i3 processor will be powerful enough for you. You get twin cores and Hyper-Threading, so web browsing, office work and some light multitasking will be possible, but having only two physical cores and no Turbo Boost means you can forget about doing anything massively intensive, like rendering video. This leaves a slew of twin- and quad-core Core i5 and Core i7 chips to worry about. Fortunately, there’s a way to clear up some of the confusion at a stroke: look for the U suffix (i7-7600U, i5-7200U, for example). This denotes a low-voltage chip, and all such processors have two cores. They also draw far less power than laptop processors without a U suffix, so are often found in ultra-portable laptops where battery life is paramount. If having a long-lasting battery matters more to you than outright power, but you need more grunt than a Y-Series processor can provide, a U chip could be right for you. This raises another question: should you get a Core i5-U chip or a Core i7-U model? Both types have two cores, Turbo Boost and Hyper-Threading. The key difference is that low-voltage Core i7 chips can generally Turbo Boost to higher frequencies than Core i5 models, so are faster overall. Also, all Core i7-U chips have 4MB cache, while the lower-end Core i5-7200U and i5-7300U only have 3MB, which will have a performance impact. Inevitably, Intel has found a way to further complicate the U-Series range. As well as the differences mentioned above, there are also three different graphics chipsets to worry about. We go into more detail below, but the basic rule is that model numbers ending ‘00U’ have basic Intel HD Graphics 620 chipsets, while chips ending ‘60U’ have the much more powerful Intel Iris Plus Graphics 640. There are also Core i3, Core i5 and Core i7 chips with the suffix ‘67U’, which are fitted with the top-of-the-range Intel Iris Plus Graphics 650 chipset. Finally, we come to the high-performance ‘H’ suffix processors, which you’ll find in high-end multimedia and gaming laptops. Most of these are quad-core chips with the ‘HQ’ suffix, but there is one Core i3 model, the Core i3-7100H, that has just two cores and no Turbo Boost. All Core i5 ‘H’ chips have four cores, Turbo Boost and 6MB cache. Even better, if you need the most powerful laptop possible, you need one of the quad-core Core i7-HQ models, as four physical cores, plus another four virtual cores thanks to Hyper-Threading, and Turbo Boost will give you some seriously impressive performance. You could also go wild and pick up a laptop with an i7-7820HK processor, which has an unlocked multiplier and will allow you to overclock the chip in your laptop’s BIOS. Bear in mind that these chips have a higher power draw than the Y- and U-Series processors, so shouldn’t be your first choice if battery life is more important than processing power. If you’re planning on playing games on your new laptop, you should buy one with a dedicated graphics card. If you don’t want to do that, and still want to have some fun with less-demanding titles, you’ll need to think about the graphics chipset your laptop processor provides. The most powerful Intel graphics chipset goes by the name of Iris Plus, so if you want to play at decent detail levels you should look for a processor with Intel Iris Plus 640 or 650 graphics. You’ll also find some processors with Intel HD Graphics 615, 620 and 630 chipsets, which aren’t as powerful as Iris. We’ve summarised the various chipsets in the table below. As you can see, base clock speeds vary between chipsets, and Boost speeds vary between individual processors. However, the clock speeds are nowhere near as important to 3D performance as the number of Execution Units. For example, depending on the game, the Iris Plus 640’s 48 Execution Units can provide significantly more performance than the HD 620 chipset’s 24. Intel’s processor line-up is far from simple. Desktop chips are perhaps more logical than laptop processors, but for both you should look beyond the Core i branding and check number of cores, clock speed and Hyper-Threading to truly understand what sort of power you should be expecting.